A new brokerage in Fayetteville is launching soon to provide investors direct access to the highly attractive alternative asset class of farmland. 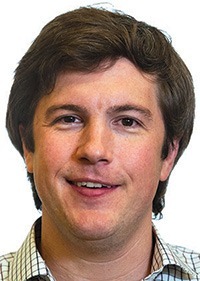 AcreTrader is the idea of 36-year-old Carter Malloy, a University of Arkansas graduate with a degree in physics. Malloy, who grew up in an Arkansas farming family, spent the past five years working for a long-short equity investment fund in San Francisco. Before that, he was a managing director for Stephens Inc. in Little Rock. He said farmland in the U.S. has historically outperformed most asset classes and other forms of real estate. Buying and maintaining farmland, though, is extremely difficult, and he has always sought ways to make the alternative asset a more approachable investment. AcreTrader’s proprietary real estate investing platform is initially open only to accredited investors — people who have a high net worth or income. However, Malloy said the company plans to open up the platform as soon as possible to all U.S. investors, subject to limitations. Malloy said AcreTrader has been funded to date by a “founder investment” and is actively raising a seed round of capital. There are 900 million acres of farmland in the U.S., about a third of which is cropland. Malloy said the AcreTrader team is currently working to build its supply of farmland that will be available to investors. Through personal networks, online advertising and other avenues, AcreTrader is combing the country for land. He said during one week in February, the brokerage did due diligence on a variety of farms — one being a Monarch butterfly preserve — in Arkansas, Wisconsin, Georgia, Illinois, South Dakota and Colorado. 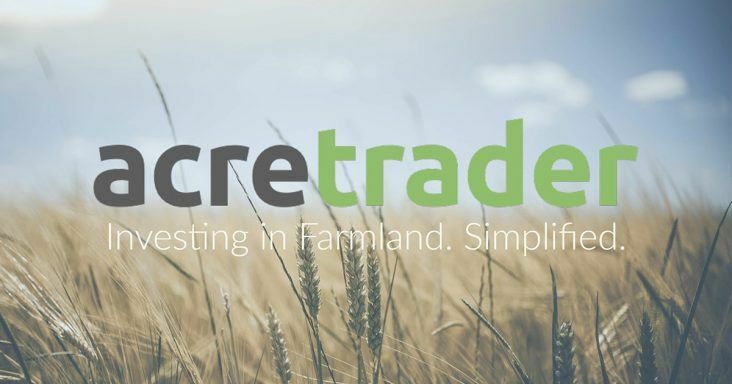 AcreTrader buys less than 5% of the total parcels considered, then places each farm offering in a unique limited liability company (LLC) and offers shares to investors through its online platform that uses some aspects of crowdfunding. Each LLC is divided into shares equal to one-tenth of an acre. So, for example, an investor who buys 20 shares owns 2 acres of the LLC and the dividends that go with it. The idea is to make money from both land value appreciation and rent from farmers. Accredited investors can get started with as little as $1,000. Most of AcreTrader’s offerings require a minimum initial investment of 10 shares, or the equivalent of 1 acre. When an investor makes their investment, the money is held in escrow at North Capital Private Securities Corp., a registered broker-dealer. “We [AcreTrader] don’t want to touch the customer’s money,” Malloy said. To underscore the financial security of its software, Malloy said the company has spent an excessive amount of time and money on building the platform and testing it for security and transparency. He said AcreTrader uses 256-bit encryption, the highest level of encryption commercially available, to ensure every transaction, financial or otherwise, is secured with the maximum level of protection. AcreTrader has four full-time employees in Arkansas: Malloy, Harrison Hollingsworth, Garrott McClintock and Brent Reader. It also works with an offsite software development team of six, with the lead developer based in San Francisco. Others who are part of the company are Fayetteville attorney Jason Bramlett, a partner at Friday, Eldredge & Clark, and Will Gladden, Fayetteville market president of Signature Bank of Arkansas. Gladden oversees AcreTrader’s real estate brokerage operations and closing activities. Warren Jenson, chief financial officer of LiveRamp Holdings (formerly known as Acxiom Corp.) and a former CFO at Amazon.com, NBC, Delta Airlines and the American video game company Electronic Arts (EA) Inc.
John Wright, an entrepreneur managing a private fund that invests in farmland real estate and extends credits to operating farmers. 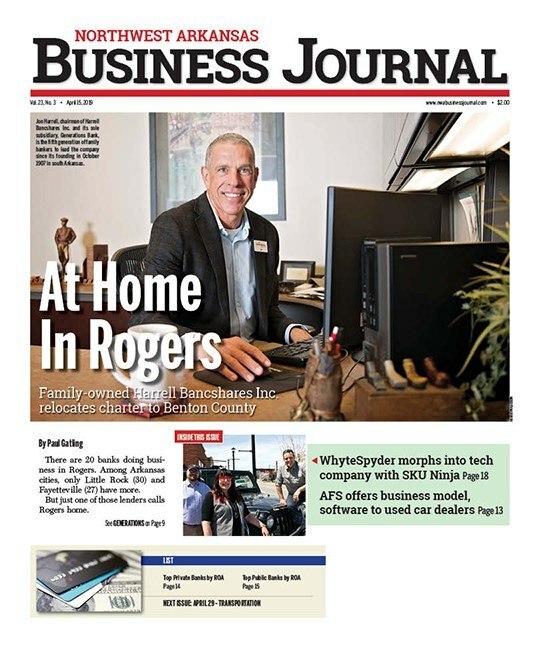 He previously spent nearly 22 years with J.B. Hunt Transport Services Inc., half of that time as vice president of operations.